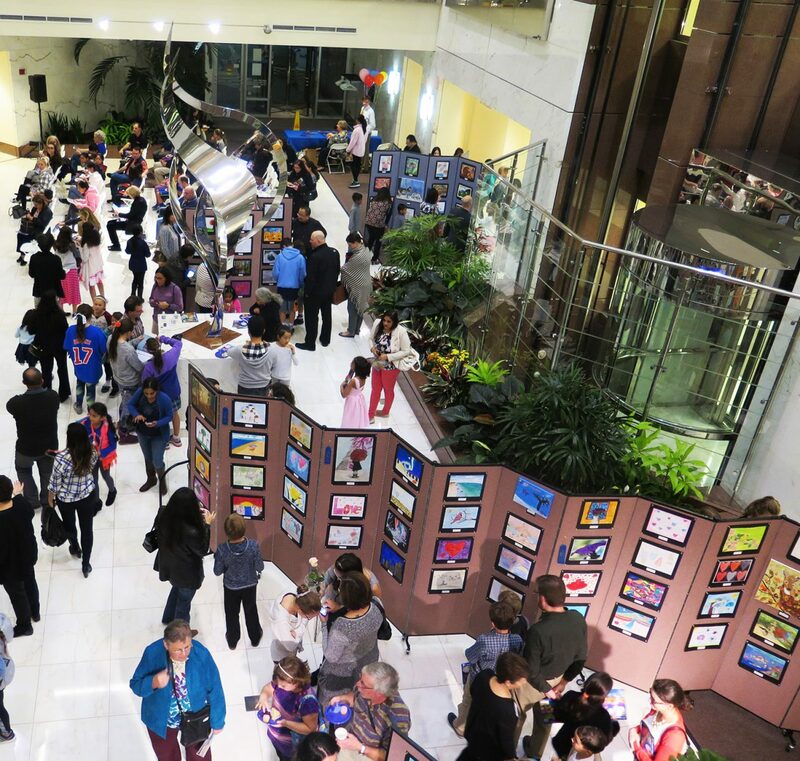 Every year the American Enterprise Bank hosts a village art fair for the community. 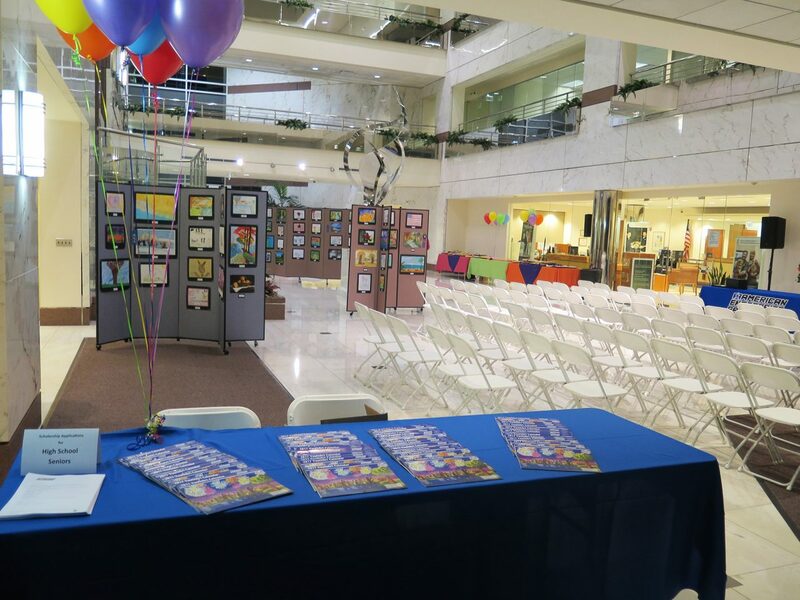 Faced with a growing number of art show applicants, the art director needed an art show display system to showcase the extra art pieces and they knew exactly who to call. Already having several Screenflex portable room dividers and display towers, the bank choose a 6’8″ by 24’1″ room divider to fill their display needs. The artwork is tacked, pinned or stapled to both sides of the fabric panels. 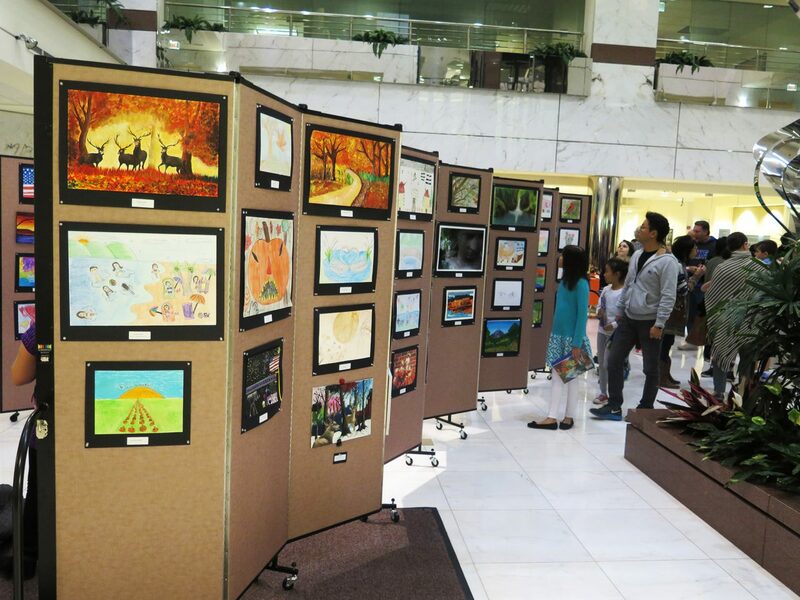 As seen here, viewers move freely around the dividers and display towers throughout the bank’s atrium. 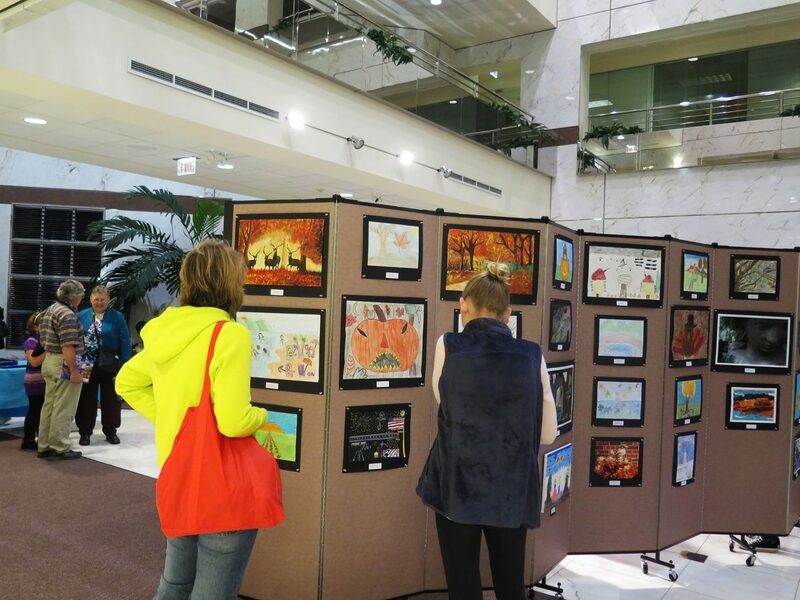 “We used the Screenflex display panels to showcase the entries in the YouthArt Calendar contest we sponsored with the Village of Buffalo Grove Arts Commission. 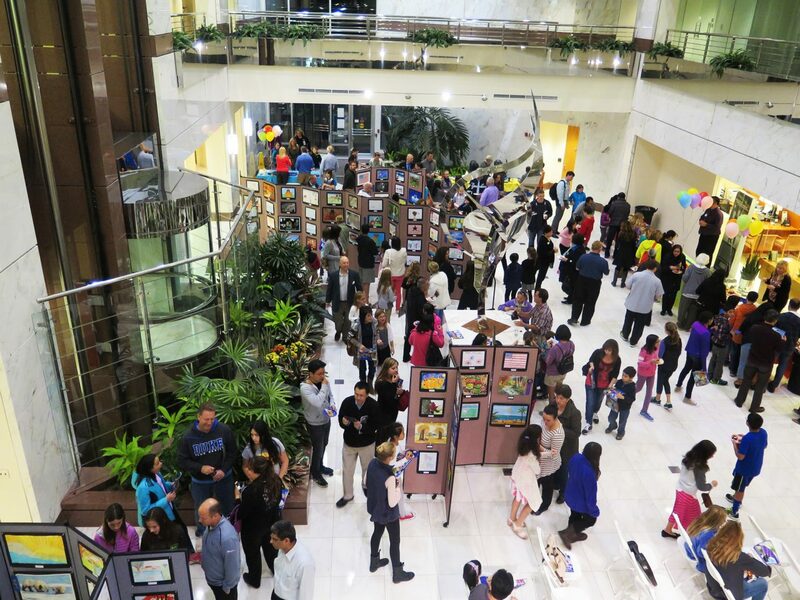 The displays with the artwork remained up in our atrium through the month of December,” remarks the art show coordinator.